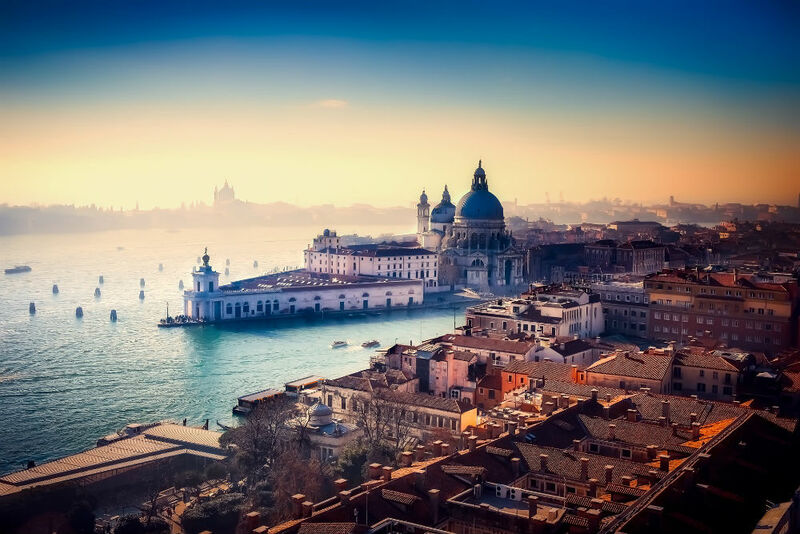 The insider advice on this page is from two of Wendy’s Trusted Travel Experts for Italy: Maria Gabriella Landers and Brian Dore of CIU Travel. 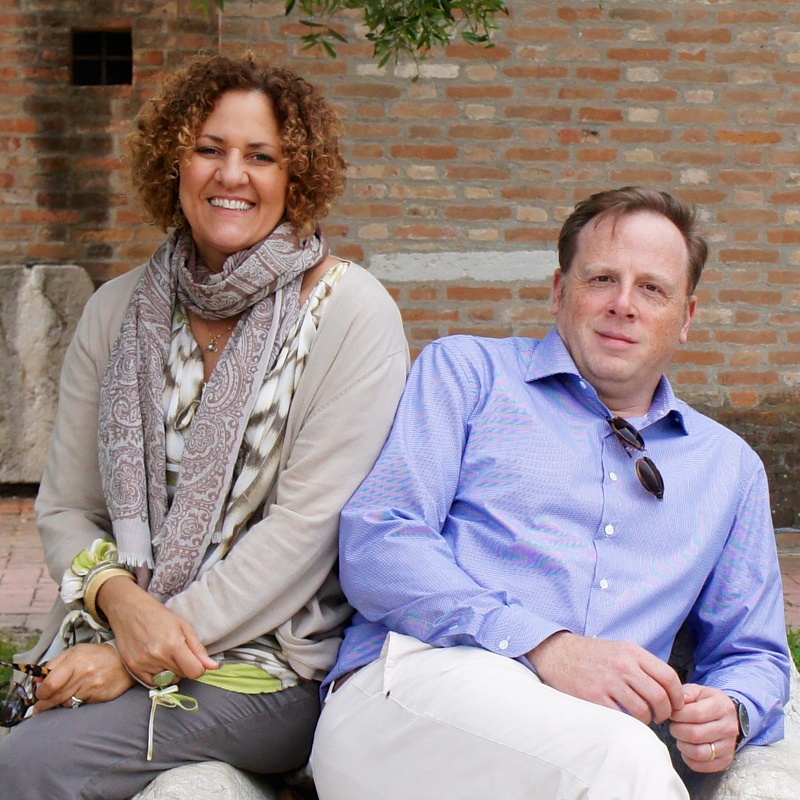 Opera singers who divide their time between Italy and the United States, husband-and-wife team Brian and Maria Gabriella design imaginative itineraries throughout Italy that focus primarily on gastronomy, art, architecture, archaeology, and history; they can also help with side trips into Switzerland. Maria Gabriella, who has a background in art history as well as opera, is an ambassador of Italian culture for Perugia’s Università per Stranieri. Brian, a former chef, worked at several New York restaurants before embarking on an international career as an operatic baritone, now an occasional side gig; he’s also an enthusiastic hiker and skier who’s tested out many slopes and trails in the Alps. Together with their team of charming and terrifically knowledgeable guides and drivers, Maria Gabriella and Brian give their clients an intimate experience no matter where they go, from Rome’s most iconic landmarks to the hidden-treasure hill towns of Tuscany to Switzerland’s cultural capitals and charming mountainside villages. Trips have a three-night minimum and start at $800 per day for two travelers in Italy and $900 per day for two travelers in Switzerland. Montepulciano. Photo by Brian Dore. Italian hotels are expensive. You’ll be lucky to find anything for less than 220 euro a night. Borgo Santo Pietro in Chiusino is well worth those high rates: a resort intimate and exclusive enough to fool you into believing you have a private Tuscan villa all to yourself. This sumptuous, 13th-century palazzo is surrounded by a sprawling private park with a series of delightful gardens, a playground, and a duck pond; it also has an excellent restaurant, spa, pool, and garden villas ideal for families. But what makes Borgo Santo Pietro stand apart is the attentive staff: so intent on your comfort that each guest is given a cell phone to call the main villa from anywhere on this vast property for drinks, food, or assistance. Though the 15-room resort is in the countryside, the tiny village of Palazzetto is just a five-minute walk away, and the Abbey of St. Galgano (said to hold the sword in the stone of Excalibur legend) is just down the road. For a bit less of a splurge but still a special treat, we also love Villa Poggiano, a restored 18th-century villa set amid its own 15-acre park just a mile outside Montepulciano. The suites and rooms are simply but elegant with antique furnishings and paintings. There is a lovely marble swimming pool, decorated with statues and fountains, and the staff is warm and helpful. At Siena’s charming Palazzo Ravizza, you get the best of both worlds: fresh air and bucolic views of the Tuscan countryside, with easy access on foot to the town’s shops and restaurants. This Renaissance-era palazzo has frescoed ceilings and original furnishings from the 1920s, when it first became a pensione. Opt for one of the more spacious garden-view rooms. 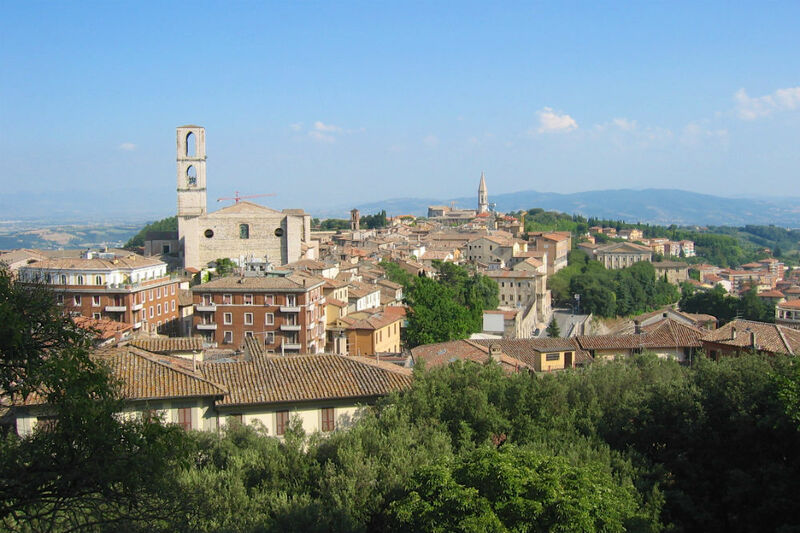 Tuscany is one of Italy’s largest regions, so it’s only natural that it would be home to equally large personalities. One of these is Dario Cecchini, the amiable butcher of the tiny town of Panzano and grill-meister at his restaurant Officina della Bistecca, where barbecue is the special of the day, every day. We especially love the Sunday lunch meat extravaganza. For a less expensive (and a bit less theatrical) alternative, Osteria Acquacheta in Montepulciano has the authentic rustic village trattoria vibe and the simply divine (and divinely simple) food that is a hallmark of authentic Tuscan cuisine. Try the Fiorentina steak, the region’s most typical dish: a thick cut of heirloom Chianina beef, cooked on the bone and served with white beans in olive oil and rosemary. Tuscans are famously avid hunters, and wide pappardelle noodles with pungent wild boar, rabbit, and venison sauces are common on country menus across the region. One of the most prestigious names in Tuscan wine is Antinori, a family who has been in the winemaking business since the late 1300s and who ushered in the Super Tuscan revolution a few decades ago. In 2000, the family opened Osteria di Passignano at their estate surrounding the historic Badia di Passignano monastery in the heart of Chianti, where they produce Chianti Classico Riserva, aged in the cellars beneath the monastery. Here the food is sublimely Tuscan, and perfectly paired with their extensive list of Antinori wines. While the rest of humankind seems to be swarming around the Leaning Tower of Pisa (see below), you get to have nearby Lucca all to yourself. This lovely Renaissance city is all that a Tuscan town should be: equally elegant and informal, with a walkable center encircled by 16th-century city walls, bike paths and beautiful countryside; full of opportunities to try the excellent local food and wine; and central enough for day trips to Pisa, the Cinque Terre, and Chianti. Music lovers will want to visit the Puccini Museum, in the house where the composer was born; gardeners will enjoy wandering the grounds of Villa Torrigiani, an aristocratic summer retreat; and shoppers shouldn’t miss Lucca’s numerous designer boutiques and artisan workshops. Puccini Statue in Lucca. Photo by Brian Dore. Spending more than an hour or two in Pisa. Yes, the iconic vacation pose holding up the Leaning Tower, one of the most clichéd yet charming souvenirs for anyone visiting Italy, is a must. But once you’ve got your money shot, move along. Pisa doesn’t have much else of pressing interest or importance, and the busloads of tourists there to capture that exact same photograph wear one down quickly. 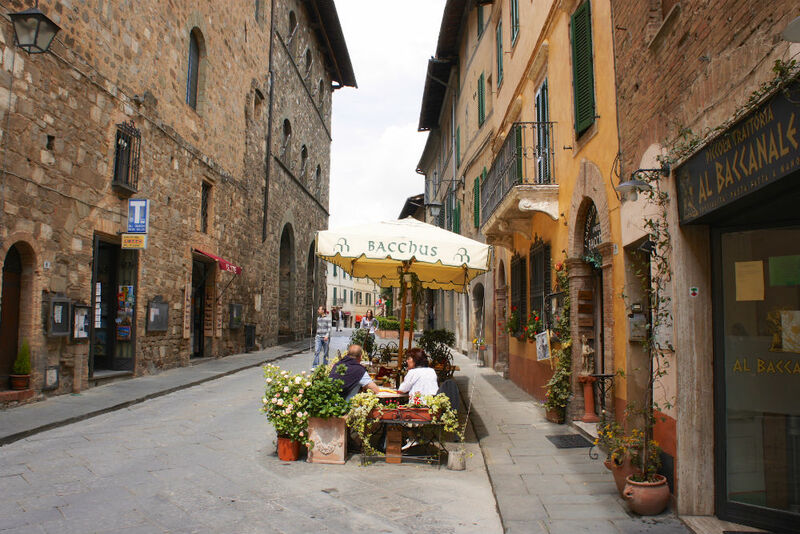 The lion’s share of visitors to Tuscany stick to Florence, Chianti, and the crowd-pleasing (and, unfortunately, overrun) San Gimignano and Cortona. But venture a bit farther afield, and you’ll find yourself in the unspoiled and slightly savage Maremma countryside. Here, butteri (Italian cowboys) still roam the plains, where tiny villages like Pitigliano and Sovana have all the charm of their more popular neighbors but almost none of the mass tourism. Maremma also includes some of the most serene stretches of Tuscany’s coast, with silent wildlife refuges such as Maremma Regional Park; after your hike, take in some local color in a bustling seaside village such as Castiglione della Pescaia, or in the hill town of Massa Marittima. 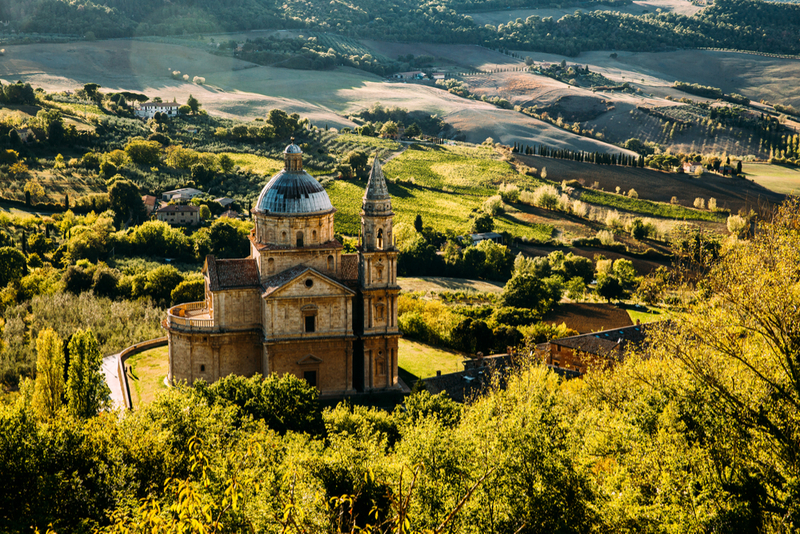 You could say that all of Tuscany is a slice of heaven, but if you want to get particularly close to paradise, stop in at the Sant’Antimo Abbey, just south of Montalcino, in time for vespers at dusk. The monks in this Romanesque monastery worship with Gregorian chanting six times a day (the schedule is posted on the church’s door), but what’s most unforgettable is the quiet of sunset. Sit still for these few precious moments, and let yourself be transfixed by the serenity of the place and its timeless music. Many Tuscan towns hold excellent antiques markets in their main piazzas on a regular basis (often monthly, or seasonally), which are perfectly pleasant and an excuse to while away a morning rubbing elbows with locals, good-naturedly bargaining in broken Italian and English, and perhaps even finding a tiny treasure to take home. Be careful about purchasing art or important antique furniture, which can sometimes be complicated to export, but quirky period jewelry, prints, toys, and knick-knacks are there for the taking—if you can bargain your way to a fair price. Antiques Market in Arezzo. Photo by Brian Dore. Though spring in Tuscany is certainly stunning, we prefer the fall—specifically that magical period of September (plus or minus a week, depending upon the weather) when the vineyard-covered hills across much of the region come alive for the vendemmia, or grape harvest. The rumble of small tractors rolling along the long rows of vines, the chattering of families and farm hands as they snip off individual clusters by hand, the tinkling of glasses and forks against plates as long tables are set up outdoors for everyone to take a break for lunch al fresco…these are the sights and sounds of autumn in Chianti, Montalcino, Montepulciano, and the rest of Tuscany’s wine country. We, along with the Tuscans themselves, don’t love Tuscany in August. The region virtually empties out for the month, as locals flock to the seaside (the only animated area of Tuscany during August is its pretty coastline), leaving the villages more or less empty, many small shops and family restaurants closed, and the foreign tourists to fend for themselves. If you crave authentic Italy, don’t stay at one of the (sadly, many) farms and palazzi that have been so aggressively renovated that they have had all the character and history restored right out of them. Sure, every detail may be perfect and flawless, but it’s the beautiful imperfections that we love about Tuscany. How to avoid these ersatz estates? Well, one surefire way is to book through us; otherwise, scrutinize a property’s website carefully before making a reservation (being owned by a large chain is one sure sign that the place has been scrubbed of its charm). And once you’re in Italy, try asking the locals for recommendations—everyone from the gas station attendant to mayor will have a strong opinion about where visitors should stay and eat, and won’t be shy about sharing it. We may sound old-school, but bring along a good printed map if you’ll be exploring the Tuscan countryside by car. Yes, GPS is great (and Google Maps has saved many a marriage), but in more remote areas GPS can sometimes trip up and a nice big map will help you second-guess perplexing directions. It’s also fun to have an oldfashioned map to spread out and get an overview of your trip or simply that day’s plans…and once highlighted and underlined, wine-splattered, and annotated, it makes for a wonderful memento. 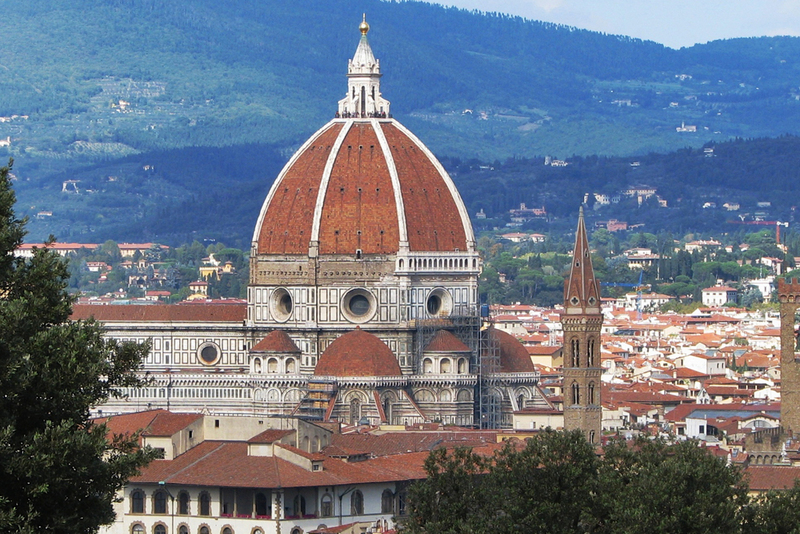 Italy is a land of wine, but no region has wineries more storied and revered as Tuscany. Many of these historic estates have been owned for centuries by successive generations of a single noble family, and are set around private castles or villas open only to a select number of guests for private visits. Our connections can gain you access to certain exclusive estates, where you’ll spend the day touring the property with the (invariably charming) owner, sampling their prestigious wines, and joining the family for a lavish lunch that shows home cooking at its finest. All in all, it’s sure to be one of your best memories of the trip. If you close your eyes and think of the Tuscan countryside, a universal image comes to mind: a single country lane zigzagging up the hillside, climbing through green and amber fields, lined by imposing cypress trees, and topped by a cloudless blue sky. This ubiquitous image is not a bucolic ideal, but a real spot just south of Pienza near the famous La Foce estate, and relatively easy to find and photograph: From La Foce, take the Strada Provinciale 40 west for about two kilometers and you’ll spot this famous postcard shot on your right. You can drive up it if you wish, but if you have a low-slung car or it has rained recently, you’re better off admiring this rough country road from afar. One of Italy’s most recognizable names in fine linens is Busatti, carried by high-end houseware stores from Milan to Sicily—but many don’t know that this historic textile company is Tuscan, founded and still based in Anghiari, near Arezzo. You can visit their lovely flagship store and choose from their quality kitchen, bedroom, and bath linens, still woven on antique looms from over a century ago. For something more unique, head to Scarperia in Mugello, a Medieval town outside of Florence with a tradition of knifemaking so long and proud that their local museum is dedicated to it. There are a number of artisan workshops and specialty stores in the town center that sell one-of-a-kind hand-forged blades; consider choosing from the especially prestigious Saladini, Berti, and Consigli brands of knives. Many associate leather and ceramics with Tuscany, but more than 90 percent of Italy’s crystal also comes from this region, and much of it from the tiny town of Colle di Val d’Elsa. Colle has been making glass since the 12th century, and still today you can visit (and purchase from) a few traditional workshops, or stop in the town’s ateliers showcasing work by local artisans.